A man is recovering after being stabbed outside a Bronx subway station during the Monday morning rush, when he says he initially snubbed a man seeking $10. Jummy Olabanji reports. A 37-year-old straphanger was stabbed twice in the back during Monday's morning rush after denying a stranger $10, according to the victim and police. Police initially said the stabbing was in the mezzanine area of the 182nd Street B train stop in Fordham shortly before 7:30 a.m.; the victim, Paul Pagoaga, later told News 4 he had been coming out of the station when he was attacked. 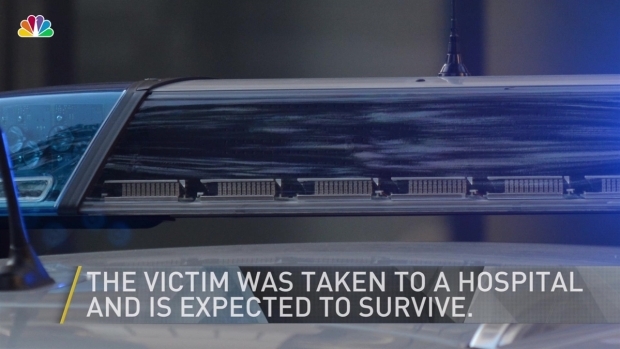 The suspect, identified by police as 40-year-old Edward Rivera, remained at large Monday afternoon. He was wearing a black jacket and skull cap at the time, and Pagoaga says he also had braids. 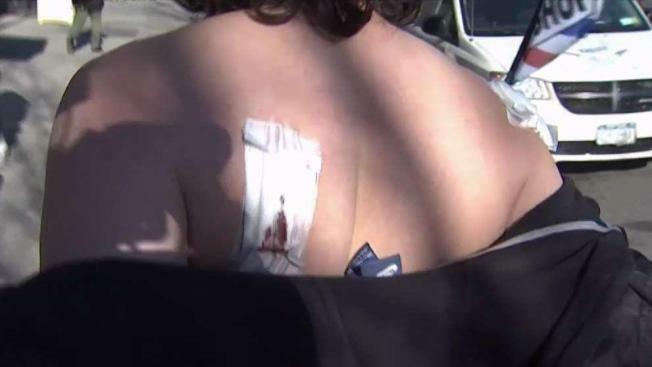 Speaking to News 4 after he was treated for his injuries, Pagoaga removed his jacket and showed gauze covering a large, bloodied section above his left shoulder blade. At the time of the attack, he said he had just come up from the subway en route to a program nearby and a man standing against a wall near the entrance said, "Give me $10." A subway rider was stabbed twice in the back in a Bronx subway station after denying a stranger $10. Pagoaga says he refused and the man said, "You're not gonna give me money to eat?" Pagoaga kept walking. "The next thing I hear is running," Pagoaga says. He said he turned around to step to confront the man chasing him and the man pulled out a knife. He tried to run back to the subway steps when "I feel one, two and then he was going to stab me again and I grabbed his hand and threw him against the wall." Pagoaga says he asked the man what he wanted. The man shouted again that he wanted money. Incredibly, Pagoaga says he reached into his pocket and gave him some. Despite needing more than a dozen stitches between his two wounds, Pagoagasays he's not afraid of random people on the street asking him for cash. "We can't blame everybody for one person," Pagoaga says. "All we can try to do is change people who are going through those problems."